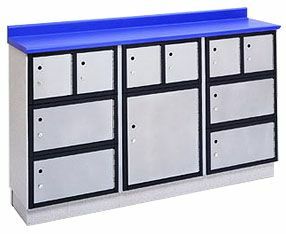 Lobby Tables may be used with HSS Industries Parcel Lockers. In addition, HSS's full line of Modular Retail Lobby Furniture can be added as needed. The price of the lobby table does not include the parcel lockers or the handicap table. These items may be purchased separately.